Home Blog How Long Will It Take Me To Learn Swedish? How Long Will It Take Me To Learn Swedish? So, you are ready to learn the Swedish language. This is certainly a valuable life skill that should benefit you both personally and professionally. Once you have mastered Swedish, traveling there will be so much more enjoyable. Your business connections will begin to increase as a result. These are just a couple of the many benefits that you will enjoy as a result of your efforts. 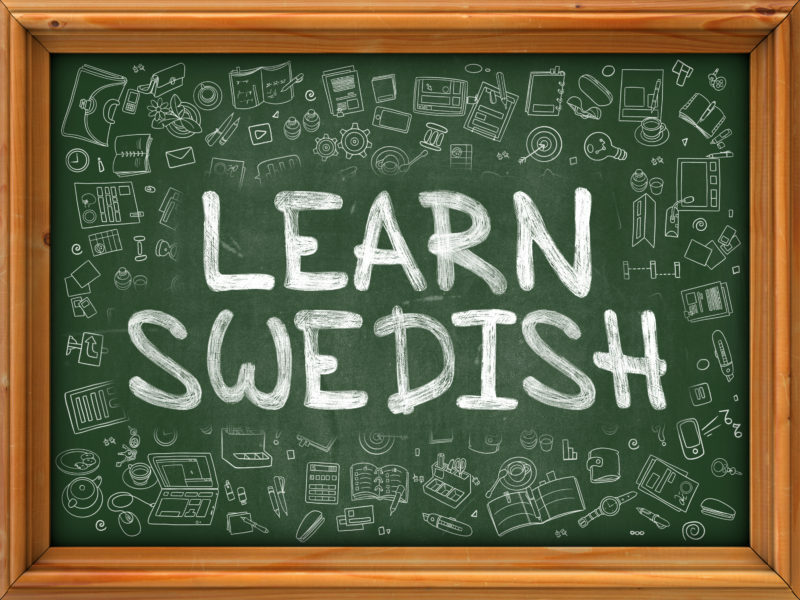 Of course, the question that almost everyone has at this stage is how long will it take to learn Swedish? A common question when first considering the acquisition of a new language is how long it will take. After all, we only have so many hours in the day and years in our life. You have to pick and choose what you will take the time to learn based on the benefit that it will give you in return. When it comes to the length of time that it will take to learn Swedish, there are a variety of factors at play. It is often up to individual learning styles when determining how long it may take master a new language and how much time one has to devote to its practice. It also depends on how much knowledge you bring into the classroom from the outset. For example, if you have a basic knowledge of Swedish grammar, you will be at an advantage right out of the gate. Again, if you were to already have some basis in Swedish, you are much more likely to progress at a faster rate. In addition, Swedish takes a lot of practice in order to master it. Are you able to do some extra work on your own every night? Every other night? Only on the weekends? These are all factors in determining how long it will take to learn Swedish. Then, there are always those areas that you may find more difficult than others. For some people, all parts of a foreign language come naturally. Others will hit a brick wall when it comes to a certain area, such as pronunciation or sentence construction. If you fall into the latter category, it might take you a bit longer to learn Swedish than if all aspects of the language came naturally to you. Learning a language is systematic. You need to have an approach in mind that works for you. Most European language study programs follow the Common European Framework of References for Languages. This divides the language learning process into stages: A1, A2, B1, B2, C1, and C2. That is the progression that most Swedish language learners will follow. By the time that you complete the A1 level, you will be correctly using everyday phrases and words that form basic sentences. You will be also able to introduce yourself to others in Swedish and will be able to both ask and give the answer to personal questions. These questions include where you live, what people you know, and what possessions you have. At the A1 level, you can have bass conversations with others, as long as the speech is slow and the pronunciation clear. Once you reach the A2 level in Swedish, you will be able to not only understand complete sentences but be able to speak them as well. These will involve expressions that are related to information about family and friends, shopping, the local geography, and jobs. You will be able to talk about and perform certain routine tasks that require a basic exchange of ideas in to order to complete them. You will also be able to use simple words and phrases to describe your own background, the environment that you are currently in, and to communicate something that you are in need of at the moment. Once you make it to the B1 Level, you will be able to understand words and phrases that relate to daily living, such as what happens at work, during school, and during your free time. You will also be able to use Swedish to talk about most situations that would come up as you travel to places where the language is spoken. It is at this level that you can also connect together various concepts and topics to form a narrative, and you can begin to talk about items in the abstract such as dreams, feelings, and emotions. During the B1 level, you can also give your opinions and explain the rationale behind your thinking on a particular topic, all in Swedish. By the time you pass through level B2, you are able to tackle difficult concrete and abstract topics alike in Swedish. This includes holding conversations that include technical words and phrases, including those ideas that are related to an academic or professional specialty. You will also be able to easily hold a conversation with a native Swedish person without either one of you struggling to find comprehension. Finally, you will be able to talk about a variety of subjects, pointing out various pros and cons along the way, while you eventually arrive at an informed opinion. So, How Long Will It Take to Learn Swedish? When it comes to how many hours it takes to master each level, there are varying opinions. As mentioned, a lot of it depends on your personal aptitude to learn a new language. In general, the following guidelines are given by Cambridge ESOL to determine how many hours one will need to devote in order to learn Swedish at any given level. These are just suggested timelines. Many people will learn at a much faster rate. It is reported that some students studying on SKYPE are working their way through the A1 level in only 17 hours, with most only needing double that amount. It depends on how much work you do outside of class, and the availability of people to practice the Swedish language with you when you are not involved in a formal lesson. The more hours you can devote to studying the language each week, the faster you will progress. This is because repetition allows the human brain to retain more information. If you only study once a week, you will spend much of that time each week trying to remember what you have already learned. You will want to consistently be reviewing previous material until you have mastered it.